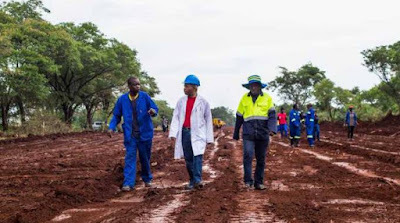 Upgrading of the $1 billion Beitbridge-Harare-Chirundu Highway will take a phased approach through to 2022, with works having already started on some sections of the key road. The highway is a major economic corridor, providing South Africa with a link to Africa’s interior through the continent’s busiest inland port of entry at Beitbridge via Zimbabwe. The project is being financed with local resources after foreign contractors repeatedly failed to meet their obligations and secure funding. At least nine companies have been tasked with upgrading specific sections. Government has also directed local authorities to dualise 10km stretches leading into their administrative centres. To this end, works have started on the highway near Chivi and Beatrice, with other councils understood to be mobilising equipment to get on site soon. The construction by local authorities is in line with Government’s ongoing Emergency Road Rehabilitation Programme, and will be done to international standards and then consolidated into the overall project. In an interview last week, Transport and Infrastructure Development Minister Joel Biggie Matiza said the highway had National Project Status and work on it should reflect such. He said the Second Republic, under President Emmerson Mnangagwa, had committed itself to economic turnaround and infrastructure development. Minister Matiza said: “The project was on the cards for a long time now and many suitors came on with nothing moving. We had Geiger expressing interest to do the road, but that one failed because there was no proof of funding. “The New Dispensation and the President cancelled that project. President Emmerson Mnangagwa wants it done and his vision is to make that road workable. “Government decided to localise the project with local expertise and players. We have seen, in the first phase, local authorities — and in this case Chivi and recently Beatrice — moving to rehabilitate 10 kilometres into their administrative centres. Minister Matiza said Government was organising equipment for contractors, who will purchase it through their contracts. He said the nine contracts should be awarded by February 2019.